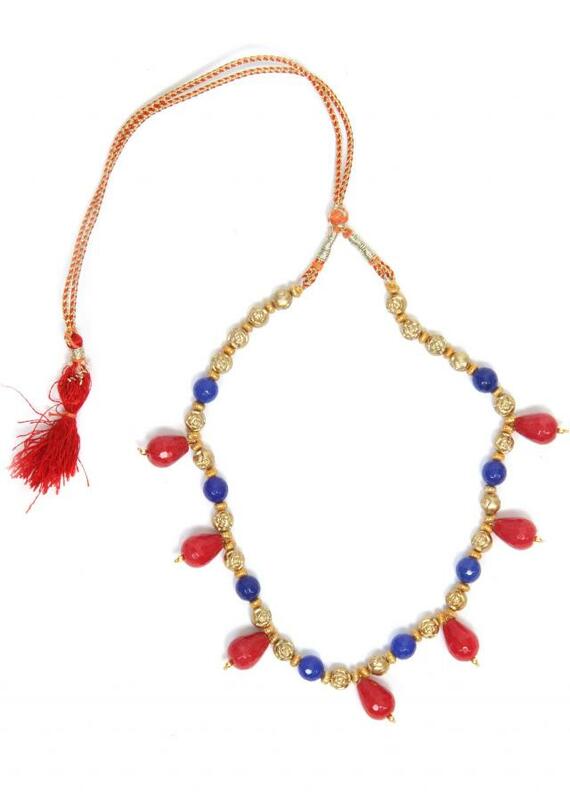 Traditional necklace that can go on Indian outfits. 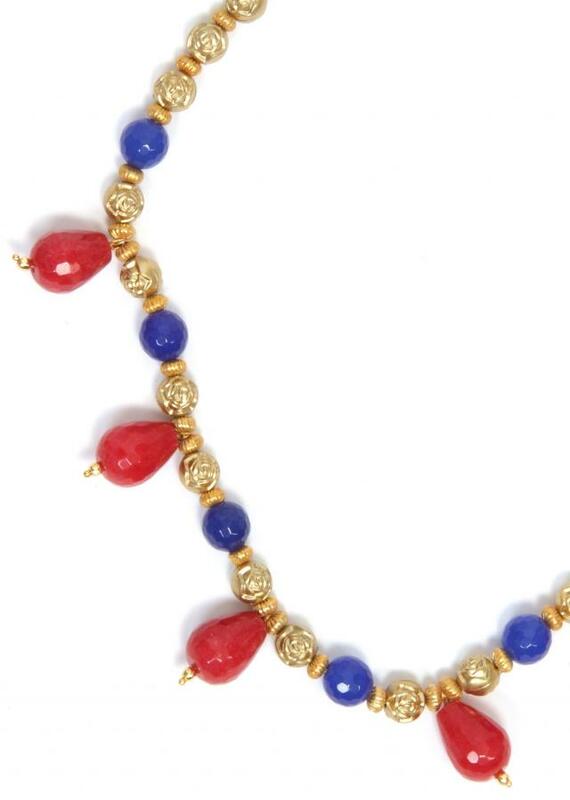 The colour combination of red, blue and golden is royal. The necklace comes with a dori that can be adjusted according to your preferance.